How do I add a blog page to my Qebot site? How do I add a new blog entry? 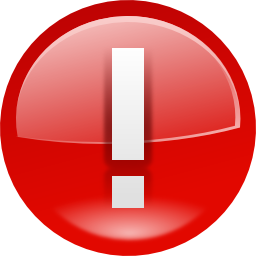 IMPORTANT: You will not be able to add blog entries until you add a blog page to your Qebot site! Log in to your Qebot account and select Blog from the tools menu. The Blog tool lists all of the blog entries you have created through the Qebot platform. From here you can add a new blog, as well as edit or delete previous entries. To add a new blog entry, select Add Blog at the top of the screen. This will bring up the compose window for you to add the content and details of your new blog. NOTE: Your work will not be saved if the compose window is closed before posting your blog! For this reason, we recommend writing your blog in a text editor and copying the content into the compose window. This is the image that will show in the blog roll of your blog page on your site. It's basically the featured image of that blog post. This is where you write and format the bulk of your blog entry. You can also add photos, images, links, and format HTML (for the more tech savvy). Add #hashtags to make your content more easily searchable online. You can add as many tags as you like, though we suggest sticking to the two or three tags most relevant to your content. If you'd like to allow visitors to comment on your blogs and engage with you click yes. If not, click no. If you'd like to save your blog and come back to it to finish later, click the "Save as Draft" button, and come back to it whenever you'd like. It will not be published to your website with this button. Once everything looks just right, click "Publish" to share your blog with the world! Don't stop at posting! Get more readers by promoting your blog on the rest of your digital marketing channels. Distribute your content through the social media and email marketing tools as well!